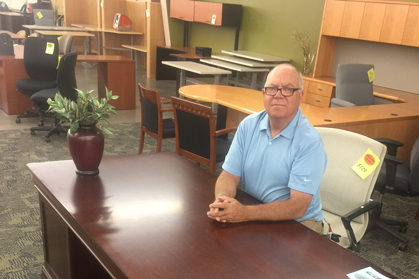 Davis Office furniture has provided new and pre-owned office furniture to the Spokane area for over 20 years. We offer reasonable solutions to small businesses with space planning, delivery and installation. We continually strive for great customer service. Since our early days on Division with 2 employees and one black lab we have grown to a 20,000 sq. ft. showroom and 10 knowledgeable and enthusiastic employees at our current location, 2901 E Trent Ave. Thank you Spokane and RiverBank for 20 wonderful years.